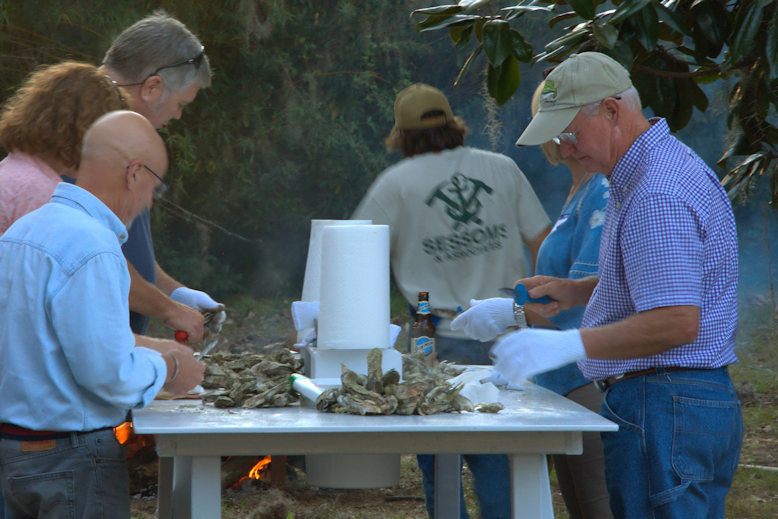 When the weather on the coast turns cooler an invitation to an oyster roast is the one most coveted by locals. Whether an impromptu affair in one’s backyard or an orchestrated event benefiting a special cause, these gatherings are central to the folklife of the coast and it’s not a recent phenomenon. 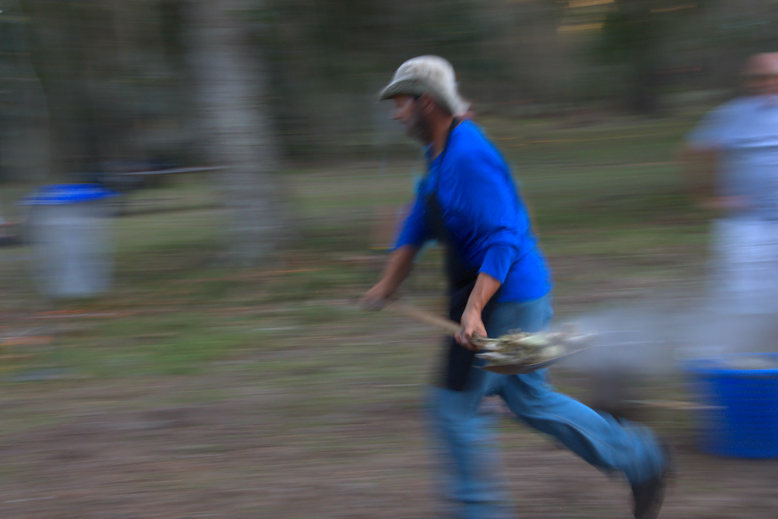 The Guale people perfected the art of roasting oysters long before Europeans ever arrived. 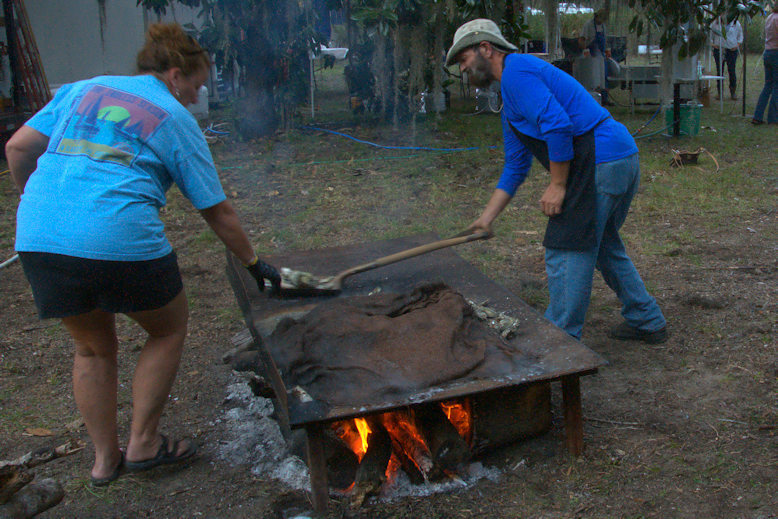 Oyster etiquette, if such a thing exists, requires no more than an open fire, a sheet of metal (often the inverted hood of an old junk car or truck), and enough wet burlap to cover your bivalves. Beer and other adult beverages also figure mightily into the ritual. Folks who live along the Gulf of Mexico will argue for their oysters’ superiority but they only have size on their side. It’s true that ours live in complex razor-sharp beds known as clusters and as a result don’t get as large as Gulf oysters, but what we sacrifice in size we more than make up in taste. Georgia’s oysters are more flavorful, hands down, with a sweet saltiness not found in their Gulf counterparts. 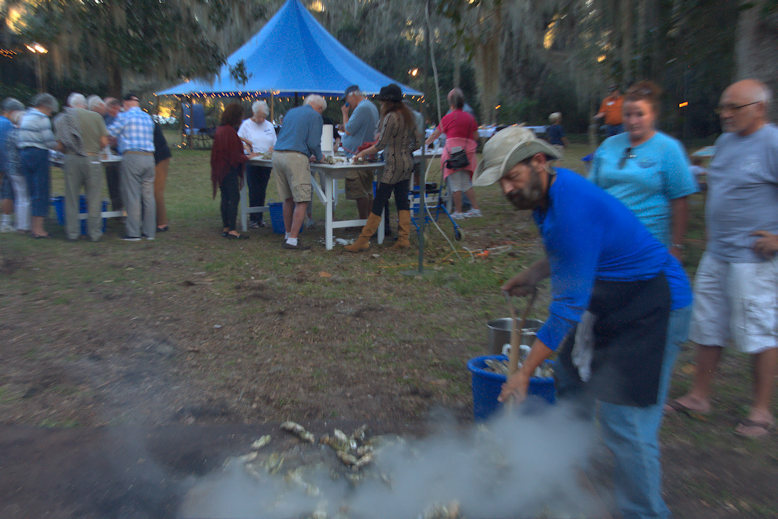 The tender at this particular roast (known as Clam Jam) benefiting Altamaha Riverkeeper at Altama Plantation was busy all evening taking shovelfuls of freshly steamed oysters from fire to table in short order. 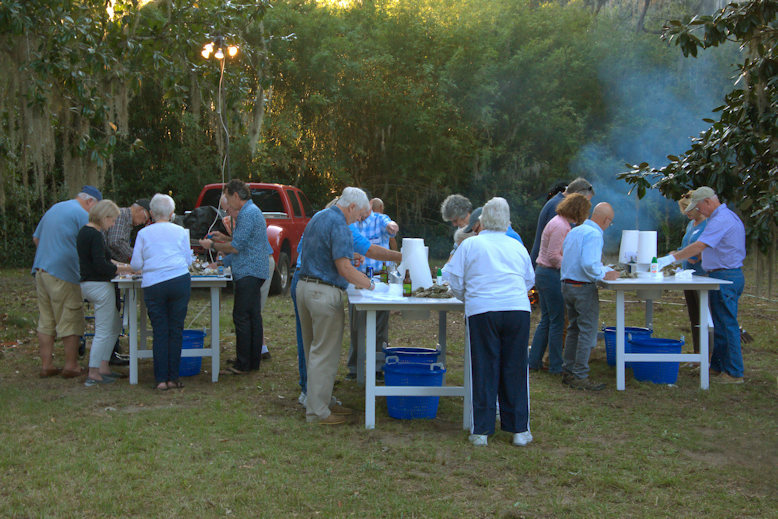 Newcomers to oyster roasts are often put off by the shucking but there are always folks around who will help the uninitiated. Most locals have their own gloves and oyster knives. Tables with long legs that position the oysters in easy reach of the diner are essential at a large gathering like this one. Thanks to Jen Hilburn for inviting me to Clam Jam 2017. Mike McCall and I had fun showing guests around the Altama property while waiting for supper. Love the pics Brian, and love the GA coast, but having a vacation home near Apalachicola where I have consumed bodacious mounds of oysters over the last 35 years, I will have to respectfully beg to differ on your assessment of the quality of Gulf vs Atlantic coast oysters! 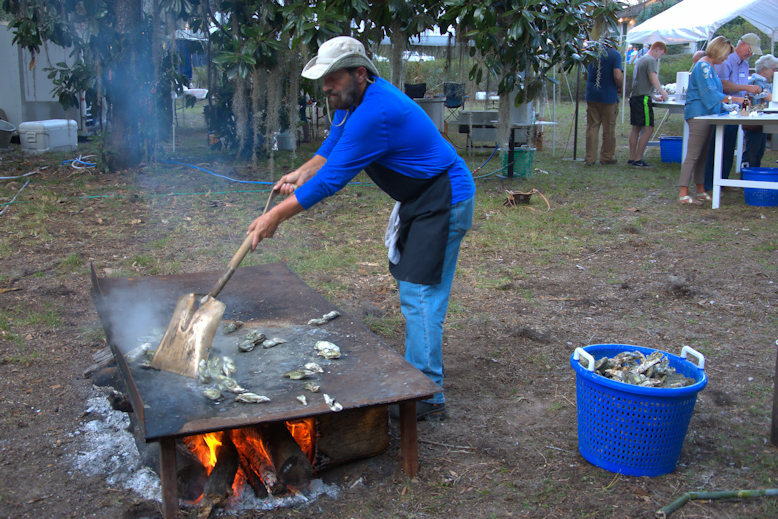 There aren’t as many coming out of Apalachicola Bay as there used to be, but the quality remains unequaled!